Extruded Aluminium Fresh Air / External Weather Louvre. Finish - Powder coated Off white standard. 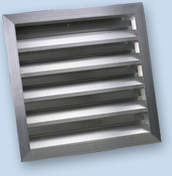 We are one of the leading manufacturers, traders and exporters of optimum quality External Weather Louvers. 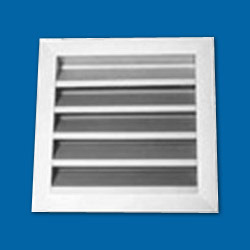 Used in wall or screening with doors, these external weather louvers are highly demanded in the market. Owing to their robust design, these external weather louvers are highly appreciated among our patrons. Looking for External Weather Louvers ?